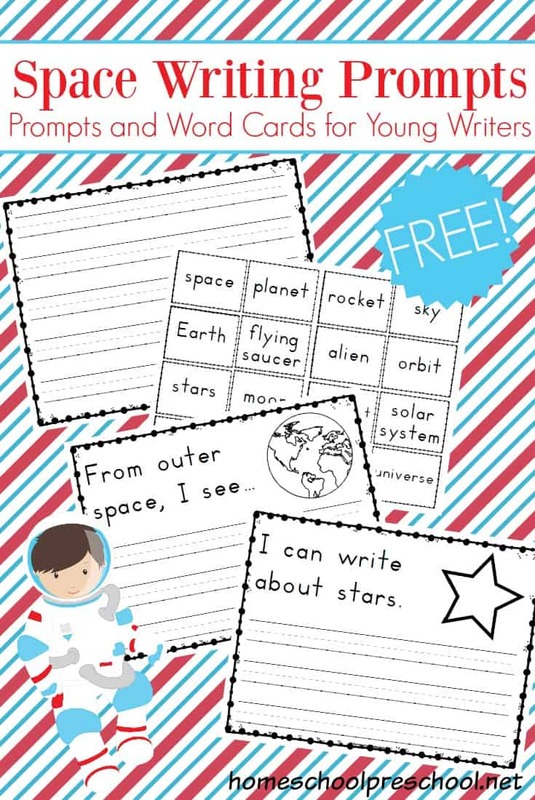 These space themed writing prompts are designed for emergent writers. The simple preschool writing prompts will give new writers confidence. They are out of this world! 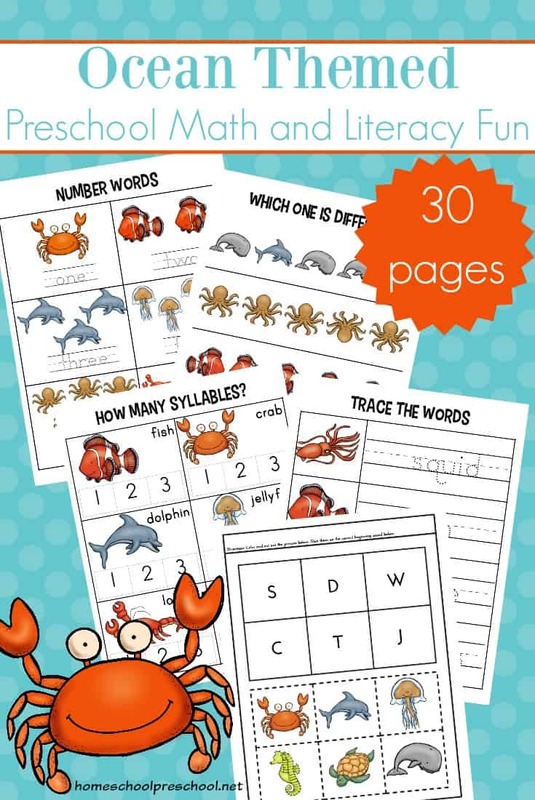 Do you have a preschooler who loves to write? They’ll love these beginner writing prompts that are out of this world! 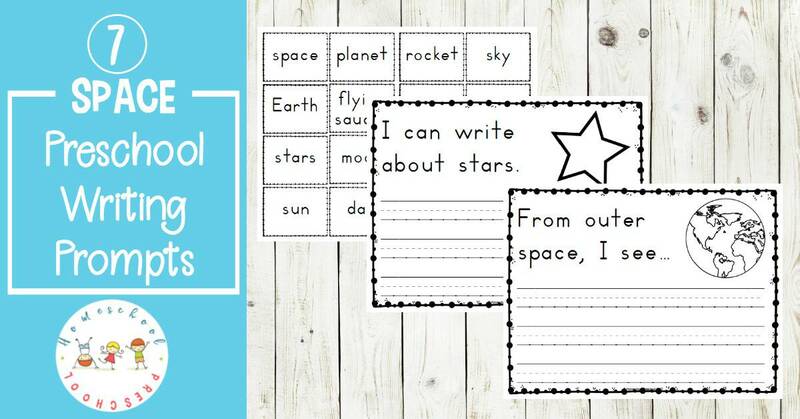 These space prompts are perfect for young writers. Each one has a space-themed writing prompt and a picture to color. Preschoolers who are comfortable writing can write their own stories. If not, let your little ones dictate their story for you to write. Either way, these preschool writing prompts will help your preschoolers’ imaginations soar! If your preschooler is very creative, let him draw a picture on the back of the writing prompt to illustrate his story. Or, draw the picture on a separate page so that both the prompt and the illustration can be displayed at the same time. These prompts are perfect for older preschoolers, but they’ll work well with kindergarten and first-grade writers, as well. You’ll receive seven unique writing prompts, a word bank, and an extra fully lined page for your wordy writers. They can use the word bank cards if they want. These cards can help spark their imaginations or help them spell words correctly. However, they’re optional. If your child will be intimidated by them, feel free to leave them out. 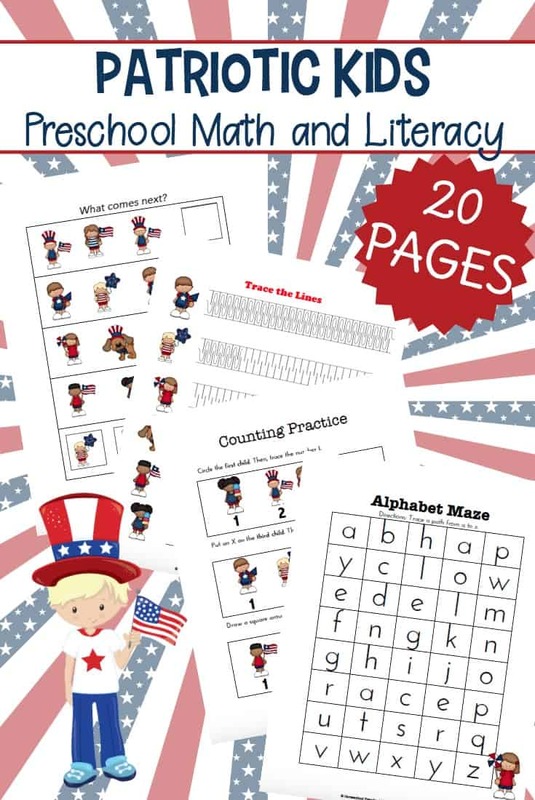 Fill your book basket with a great collection of preschool space books. Most of these books can be found at your local library or used bookstore. If you have a hard time finding them, you can order them through my Amazon affiliate links by clicking the images below. 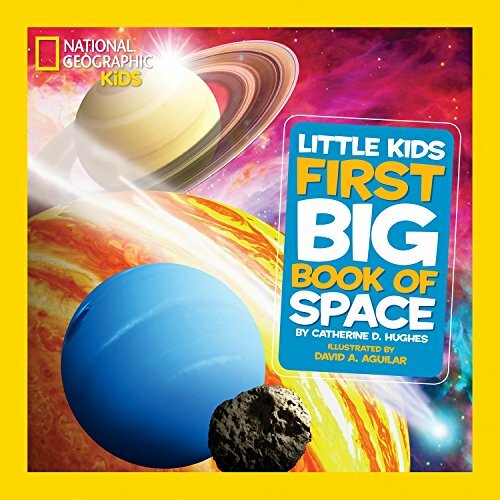 • National Geographic Little Kids First Big Book of Space | The book will explain basic concepts of space, beginning with what is most familiar to kids and expanding out into the universe. 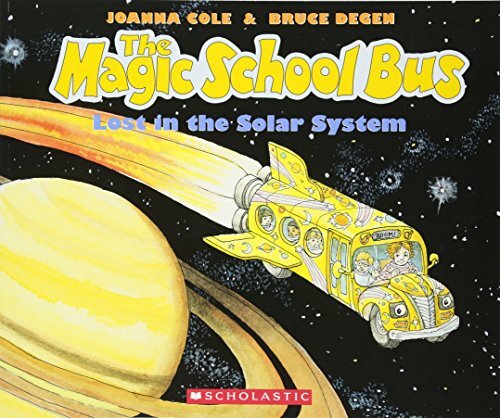 • The Magic School Bus Lost in the Solar System | The field trip to the planetarium is foiled when the museum turns out to be closed, but Ms. Frizzle saves the day. The Magic School Bus turns into a spaceship and takes the class on a trip zooming through the atmosphere, to the Moon, and beyond! • Hello, World! 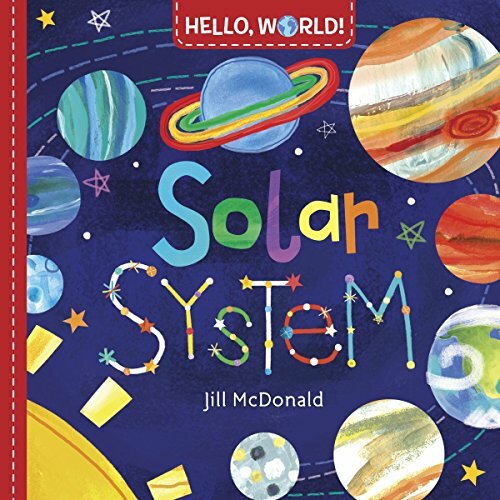 Solar System | Told in clear and easy terms and featuring bright, cheerful illustrations, Hello, World!makes learning fun for young children. 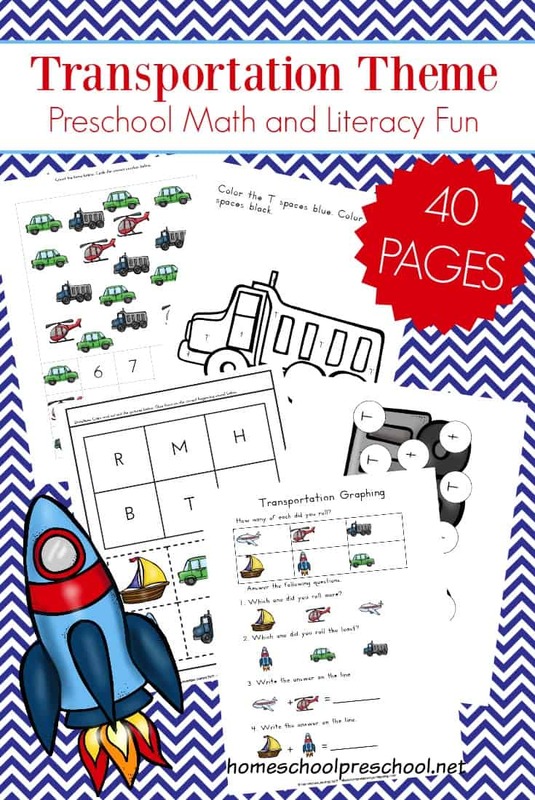 And each sturdy page offers helpful prompts for engaging with your child. Download your preschool writing prompts. Click the image below. Sign up for my newsletter, and you’ll receive this freebie as a thank you! Enjoy!